Is Bernie Sanders really calling for revolutionary change, or is he just telling his base what they want to hear? Bernie Sanders made a cold political calculation in 1998 that affected the lives of hundreds of poor, powerless people half a country away. He did it because it would benefit his affluent, politically engaged constituency, and, in turn, benefit him. Two decades later, Sanders is making another political calculation. He's choosing to disregard African-American demands for reparations because he believes he can concentrate on empowering his affluent, politically engaged constituency, who will, in turn, empower him. 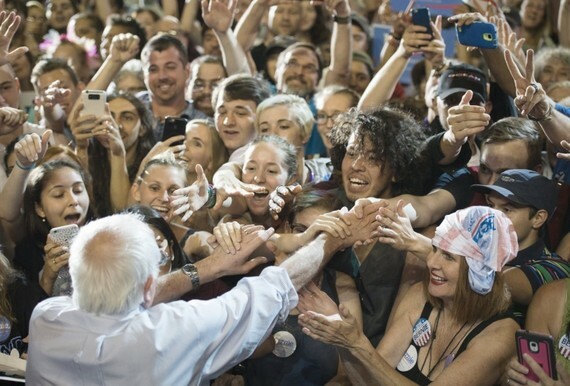 This is not a "political revolution," and Sanders is no revolutionary. Back in the early 1990s, the state of Vermont had a problem. The Vermont Yankee nuclear plant was generating tons and tons of radioactive waste, but there was nowhere palatable in the state to store it. The only town which was willing to study the possibility, Vernon, was deemed "geologically unstable." No other towns in Vermont, quite reasonably, wanted the waste. By October of 1998, Vermont had a solution. A deal had been worked out between Vermont's Congressional representation, Texas Representative Joe Barton, and then-Governor George W. Bush. The legislation, which was cosponsored and championed by then-Representative Bernie Sanders, was signed by President Bill Clinton in 1998. Senator Paul Wellstone, who is often mentioned in the same breath as Sanders among the latter's supporters, was opposed to the legislation. The people of Vermont didn't have much of a problem with the deal. But Texans and their Mexican neighbors over the Rio Grande were outraged. A delegation from Texas reached out to Sanders and tried to reason with him, citing the environmental and human degradation the waste site would create. They thought they would get an empathetic response from the nominal socialist. "My position is unchanged and you're not going to like it." When asked if he would at least visit the proposed site in Sierra Blanca, he said: "Absolutely not. I'm gonna to be running for re-election in the state of Vermont." The real costs of generating nuclear energy for Vermont, Sanders made clear, would be borne by a small, poor, majority-Hispanic community in Texas. The politically powerless people of Sierra Blanca- where the median income is only $10,500- were chosen to bear the toxic burden of Vermont's electricity. 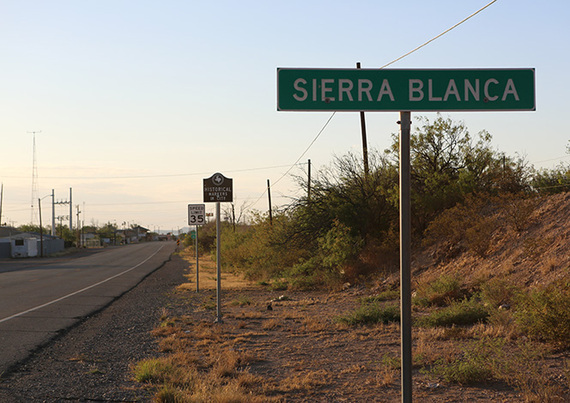 In the end, however, the Sierra Blanca site was rejected by the Texas state legislature. It wouldn't be until 2012 that Vermont would begin shipping its radioactive waste to Texas. The waste goes to a facility in a barren stretch of desert in West Texas, in Andrews County on the New Mexico border. Still, Sanders's callous indifference to the political impotence of the constituents of Sierra Blanca is telling. Not only does it show that the now Senator from Vermont doesn't practice what he preaches when it comes to issues of economic inequality, it also shows blunt ignorance on privilege, race, and class. He doesn't seem to have learned much in the past two decades. On February 12, 2016, now-Presidential candidate Sanders was attending "A Community Forum on Black America" in Minneapolis when Felicia Perry, a panelist on stage, asked him about reparations. "Can you talk about, specifically," Perry asked, "Black people and reparations?" Sanders appeared flustered and pivoted quickly to a more comfortable topic: white people. "What I just indicated, in my view," Sanders said, holding up his hand to quell the applause for Perry's question, "Is that... it's not just black. It's Latino, there are areas in America, poor rural areas, where it's whites!" It's hard to understand exactly what Sanders means here, but he appears to be indicating that reparations - long identified as penance for centuries of slavery in the United States - should be open to white people as well. It's a step in the right direction. Sanders rejected the idea of reparations outright as politically unfeasible the last time he was asked. But while he's engaging with the concept, it's also the "All Lives Matter" of reparations. Sanders regularly tells cheering crowds that he is working toward a "political revolution" and to effecting real change in the American political system. There's nothing more revolutionary than talking about reparations. The question is shunned in Washington. There's nothing more consequential to effecting real change in the American political system than standing up for the powerless, even when they're half a country away. 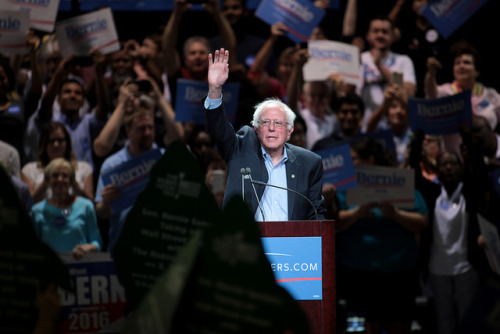 If Sanders wants to be the champion for the working poor, he's going to have to do better. Pivoting on reparations to include whites and attempting to create a sacrifice zone in South Texas for the affluence of his home state of Vermont aren't going to cut it. Sanders is either tone-deaf on these issues, or he has made a political calculation that he can get through the primary process without them. He won't be the first candidate to make that calculation. But he was supposed to be different.